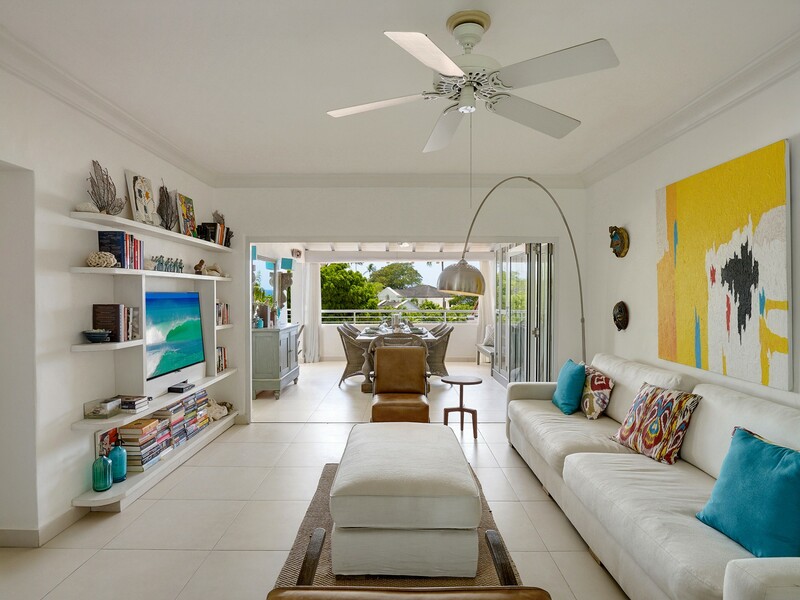 Welcome to Emerald Suite, a 3-bedroom villa that features ocean views along the coast of St James, Barbados. 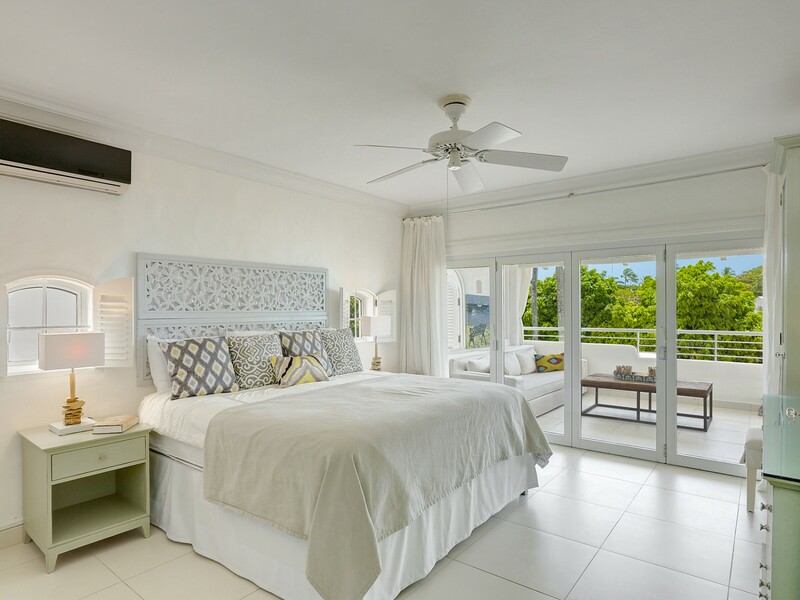 The Villa suite, based in Glitter Bay resort, can accommodate up to six guests and offers endless amenities and luxurious features within the resort. 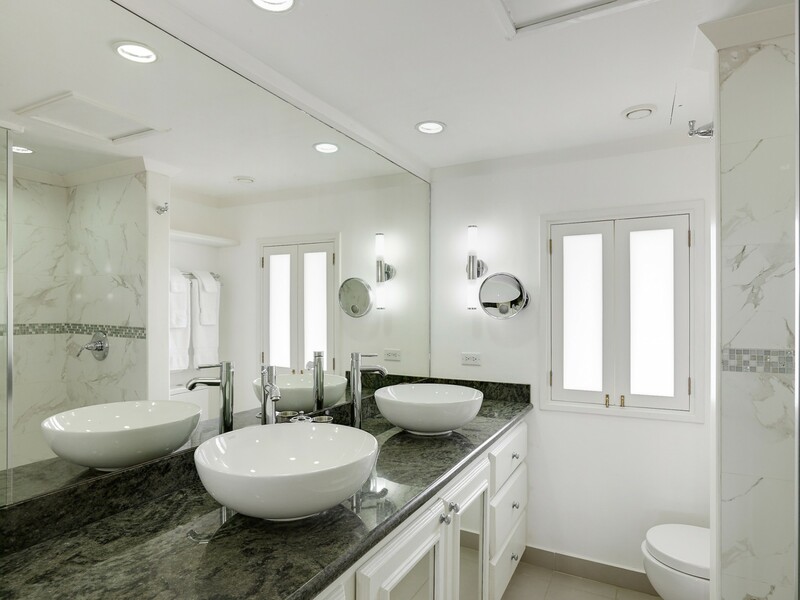 The contemporary suite follows a modern and chic design and includes a secluded balcony and outdoor seating areas. 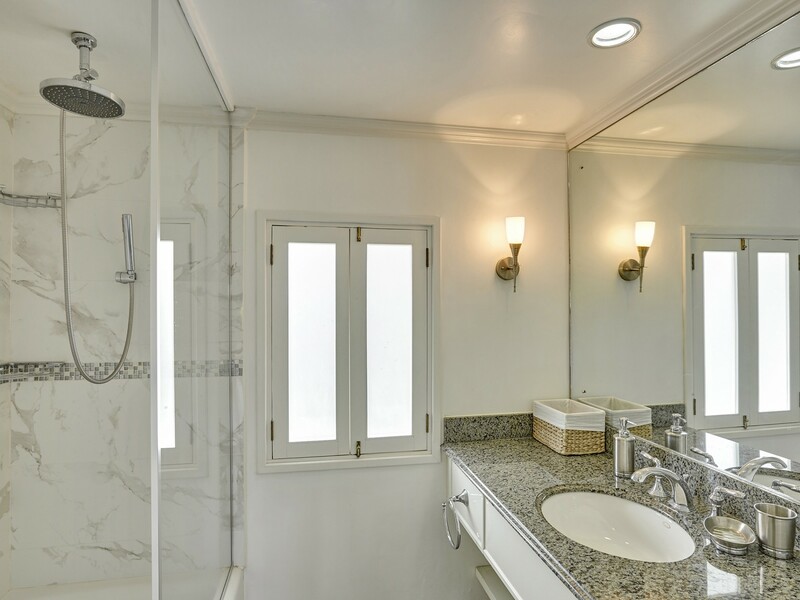 The suite is a spacious open floor apartment and is an ideal place to stay as it offers you the chance to use the resorts luxurious amenities. 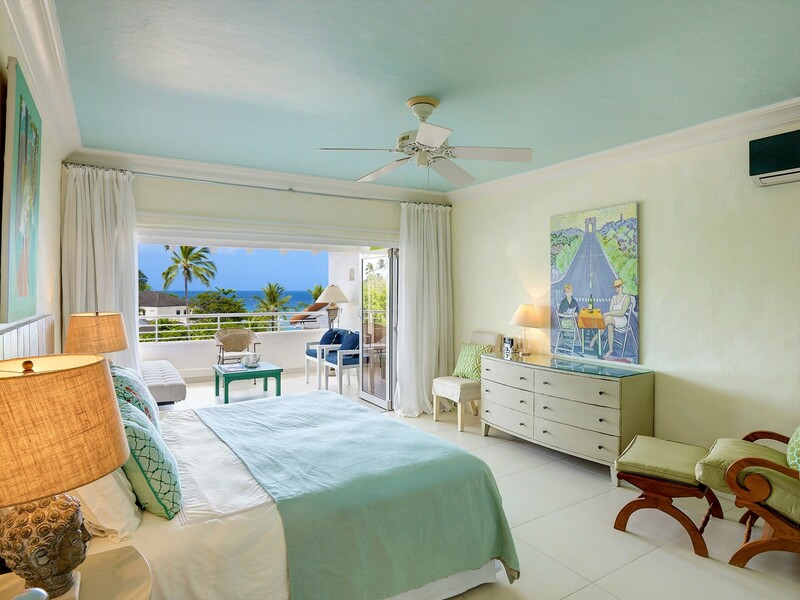 The Emerald Suite is a luxury suite embedded in the heart of Barbados and offers you a truly authentic Caribbean island experience. The sandy shores of Lone Star, Fairmont Royal Pavilion, JuJus, and Santi are in close proximity to the resort, a short walk. The choice is yours to make. Walk along the water’s edge as the waves lap lazily onto your toes. You can explore these shallows waters and go shell hunting as you stroll along the sandy shore. The turquoise waters are perfect to slip into for a refreshing saltwater swim. If you wish to simply relax they lounge on the beach chairs as you sip on your favorite drink and watch the waves glisten under the sun. Just along the beach, you will discover some delicious restaurants and cafés such as The Fairmont Beach Club, JuJus (delicious fresh fish), Lone Star and Santi. Glitter Bay offers a resort environment with the self-catering comfort of a fully furnished apartment. 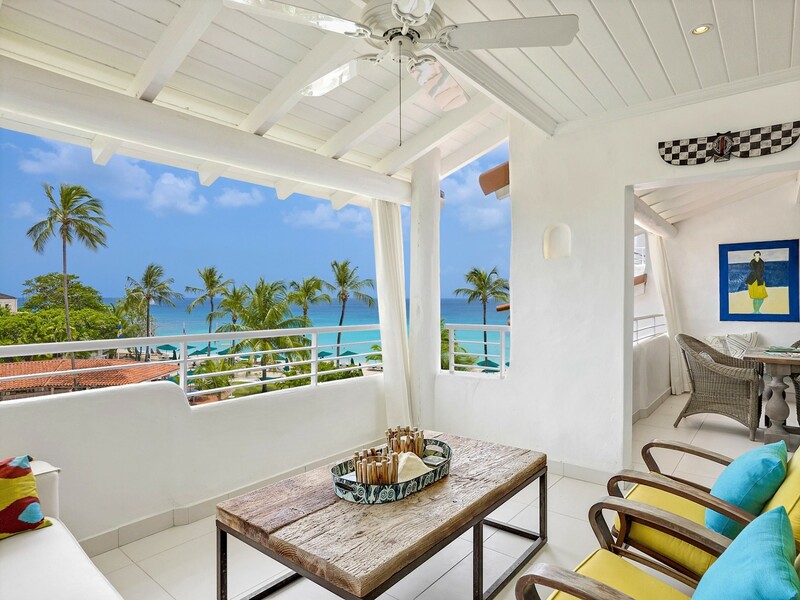 Moving into the shared outdoor spaces of your luxurious Villa suite the terrace is fitted with a profusion of features such as a large crystal-clear swimming pool, sun loungers and parasols, an outdoor barbeque area, Bar, and Alfresco Dining area. Sit out on the sun loungers and enjoy the sea breeze and surrounding Caribbean atmosphere as you let your worries float away. Soak in the warm sun on the terrace and then slip into the crisp waters of the indulgent swimming pool. There is also a wading pool. Enjoy a morning swim in the waters cool embrace if you wish, and then sit down to a lovely outdoor breakfast as you taste some authentic Caribbean dishes and tasty foods. Let the rhythmic swaying palm trees help you find your own peaceful place. In the evenings you can sit around the crackling barbeque as you cook up some tasty treats and talk with your loved ones. Get some tangy drinks and cocktails from the bar and watch the sun setting in the distance. As the evening draws to an end, you can make your way back up to your private suite via the elevator and relax on the secluded balcony. Here you have your own peaceful time as you watch the stars lace the night's sky above you. Fall asleep to the distant sounds of the waves while the breeze gently floats through the room. Emerald Bay is an exceptional oceanfront apartment in this exclusive resort, Glitter Bay. The split-level penthouse has been completely transformed into a spacious airy apartment with spectacular ocean views from all four of the balconies. The living areas blend together in an open designed layout. The main living area is fitted with a large screen TV with internet channels and plush seating. The room is the perfect place to relax with a book form the small library as you let your worries float away. 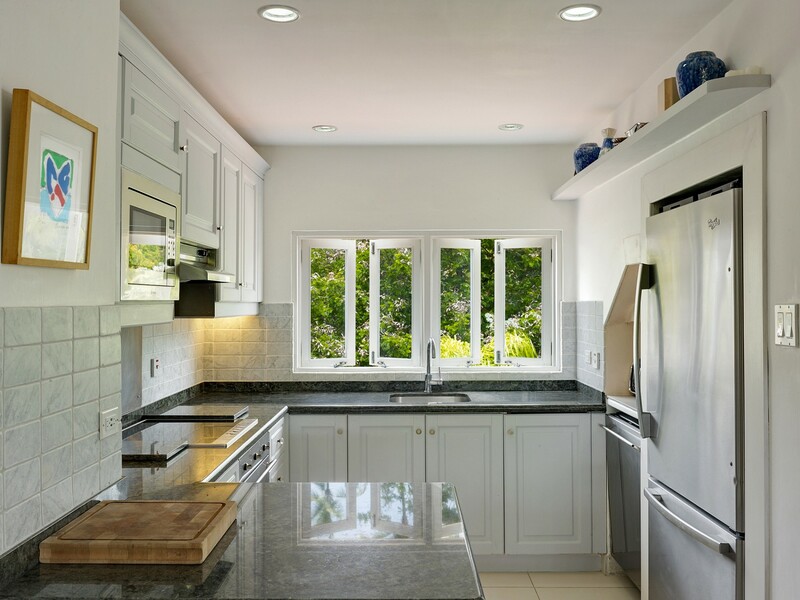 The kitchen is fully equipped with large fridge with ice maker and water dispenser as well as including appliances such as a Nespresso machine, coffee maker, electric kettle, toaster, blender, microwave, and dishwasher. 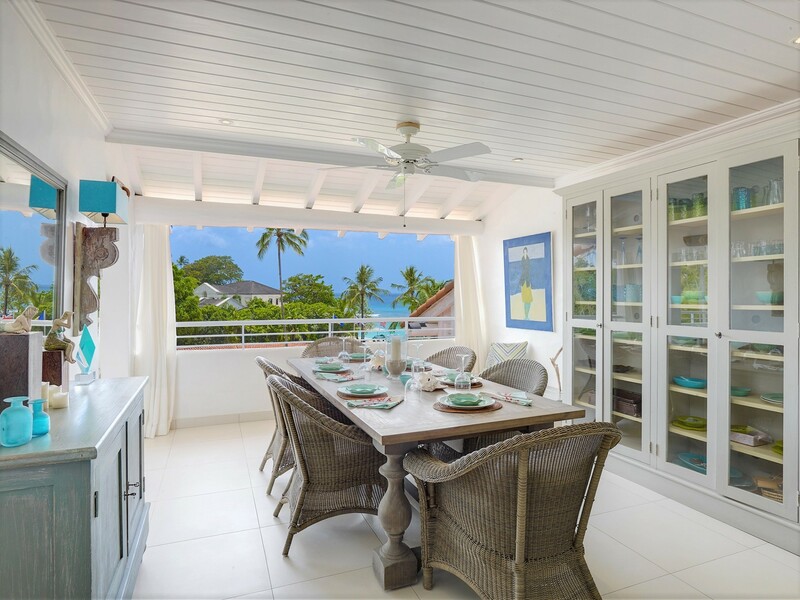 The living room and kitchen are fully air-conditioned and open out to a balcony with an alfresco dining and beautiful ocean views. Throughout the home, there are exceptional pieces of art and decor which the owners have collected through the years traveling extensively through Europe. The apartment is also equipped with secure Wi-Fi. 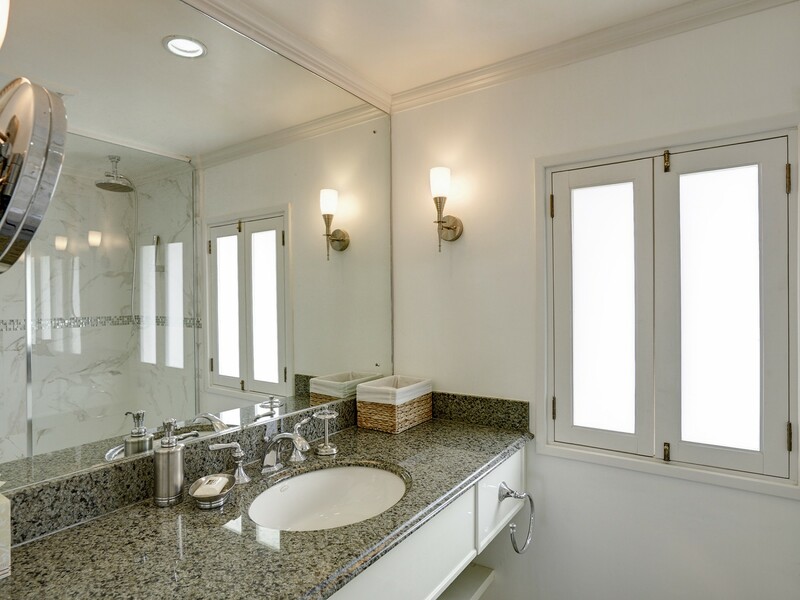 The suite has a total of three luxurious bedrooms, each with their own private balcony and en-suite bathroom. 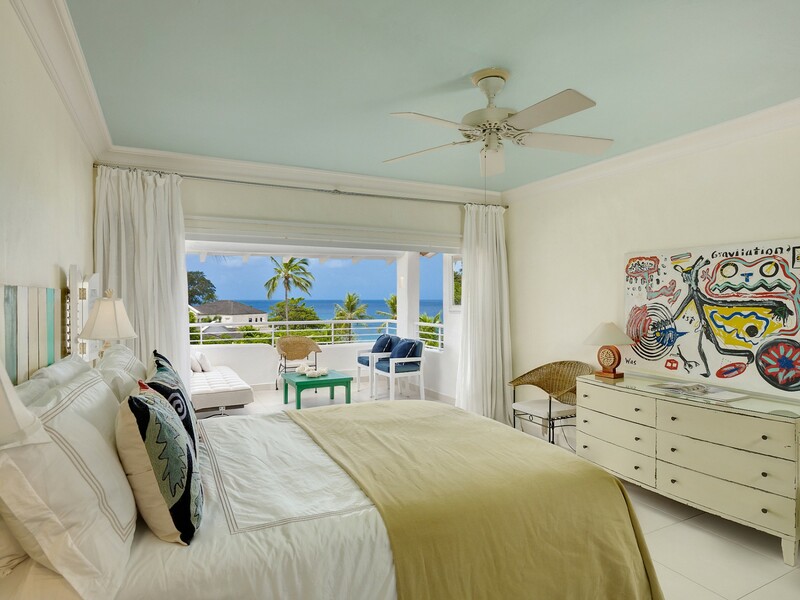 The master bedroom is located on the lower level and has captivating views of the ocean. The bedroom offers you a large king-sized bed and includes features such as an internet-enabled television and outdoor seating on the balcony. The two remaining guest bedrooms are located on the first floor. 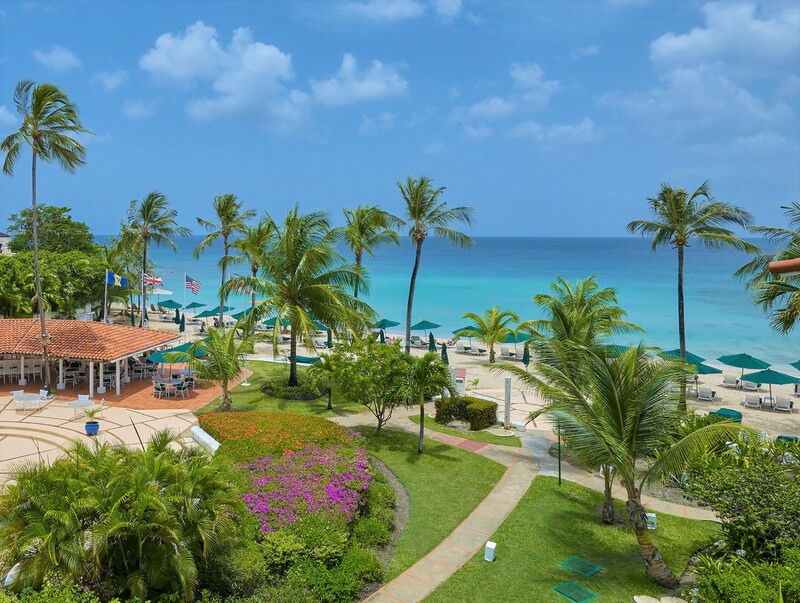 • Daily Concierge assistance 8.00 a.m. to 5.00 p.m.
Emerald Suite is located along the coast of St James in Barbados. The sandy shores of Lone Star, Fairmont Royal Pavilion, JuJus, and Santi are in close proximity to the resort, a short walk away. 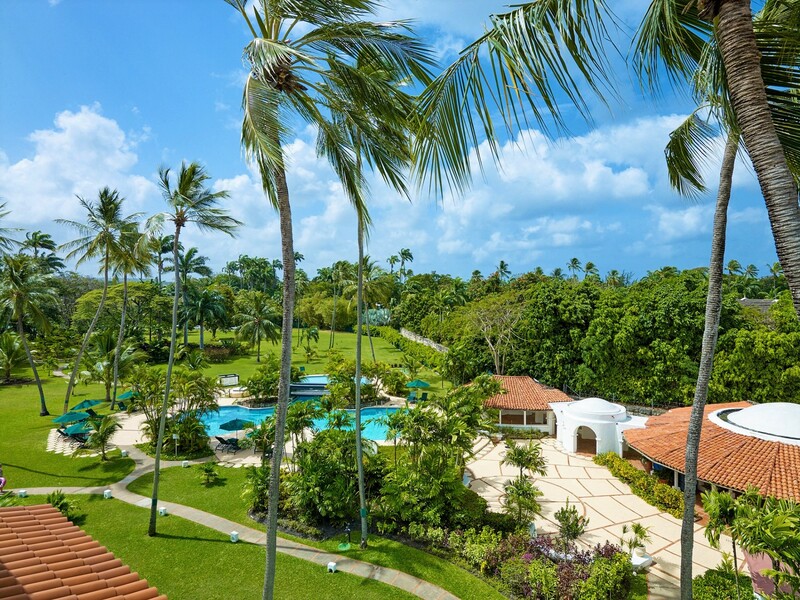 You are also within a short distance of some of the following beach restaurants such as The Fairmont Beach Club, JuJus (delicious fresh fish), Lone Star and Santi. The resort is located within walking distance of the local area Holetown. This town offers an array of amenities including the local supermarket, banks, duty-free shopping, a medical Centre, delicious restaurants, bars and Lime Grove shopping mall. For keen golfers, the Sandy Lanes Old Nine Golf Course is a short ten-minute drive from your doorstep. Ocean activities include swimming with the turtles. This can easily be done just by Lone Star and snorkeling at Folkstone Marine Park near Holetown. This marine life is based in a protected environment. BEDROOM 1 Master: Luxurious King-sized bed, Private En-suite Bathroom, Air-conditioning, Ceiling Fans, Internet Enabled Television, Secure Safe, Access to private Balcony, Outdoor Seating, Panoramic Ocean Views. BEDROOM 2: Luxurious Double bed, Private En-suite Bathroom, Air-conditioning, Ceiling Fans, Access to private Balcony, Outdoor Seating, Panoramic Ocean Views. BEDROOM 3: Luxurious Double bed, Private En-suite Bathroom, Air-conditioning, Ceiling Fans, Access to private Balcony, Outdoor Seating, Panoramic Ocean Views. Really beautiful apartment with fabulous seaviews. The water here at Glitter bay is pristine - absolutely stunning.